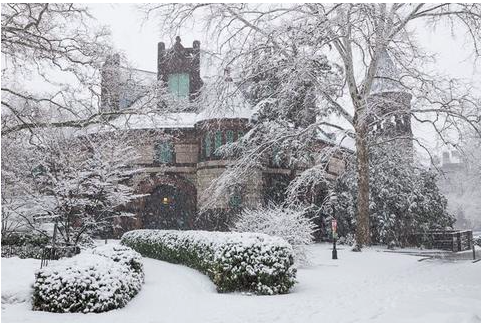 Look no further than the Princeton Magazine Online Store for your holiday gifts. 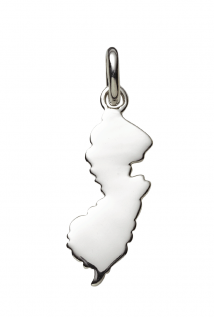 Available exclusively at Hamilton Jewelers, this sterling silver charm represents the state of New Jersey, the home of the first Hamilton Jewelers store in Princeton. 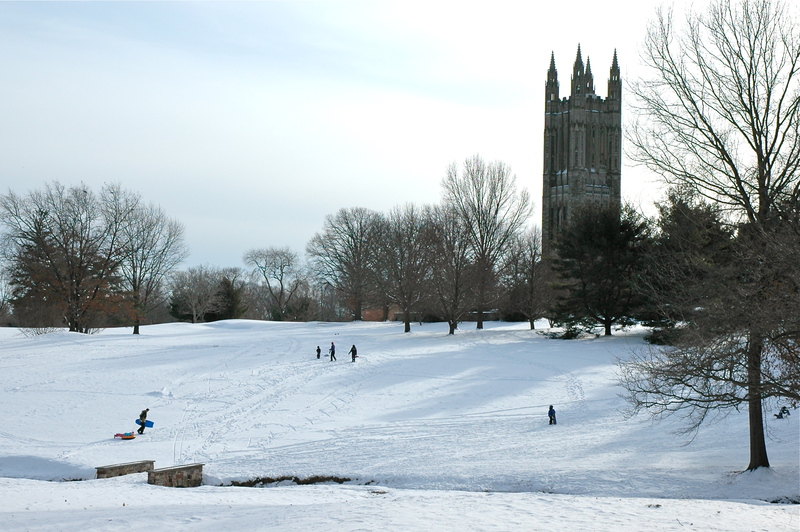 This charm reflects the elegance and sophistication of the town and University. Suitable to add to your charm collection or to be worn as a pendant. Signed photograph by Princeton photographer Wiebke Martens. 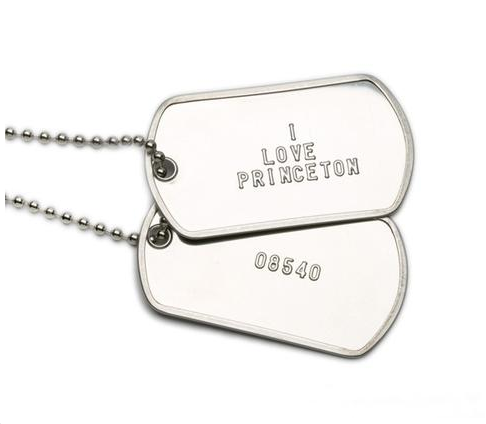 Military style dog tags designed by Andrew Wilkinson. 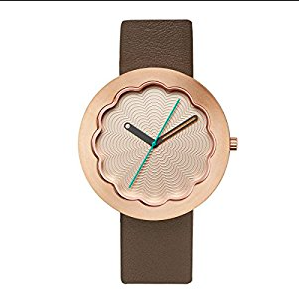 SCALLOP is a 40mm Ladies Watch available in three variations: Stainless steel case with lavender guilloche dial on blue band, rose gold case with guilloche dial on brown leather band (pictured here), and Graves signature celadon colored guilloche dial in stainless steel case on a brown band. 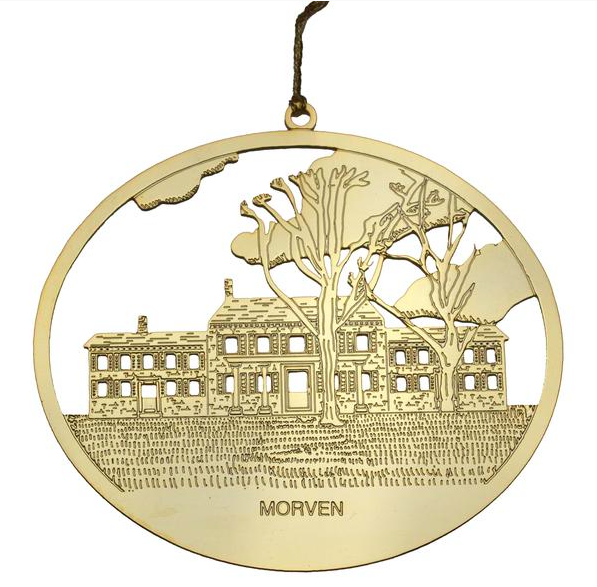 This ornament is from a series of Princeton historic landmark ornaments. These beautiful gold plated solid brass ornaments are certain to become a treasured heirloom. View them all on the online store. 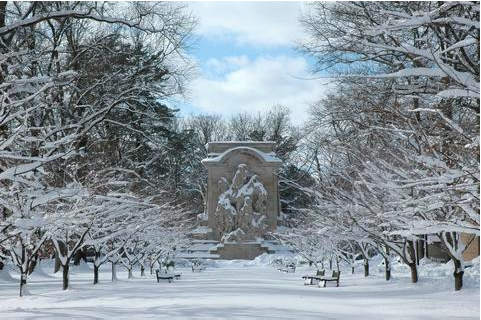 Princeton Battle Monument, Winter; Signed photograph taken by Princeton photographer Emily Reeves. 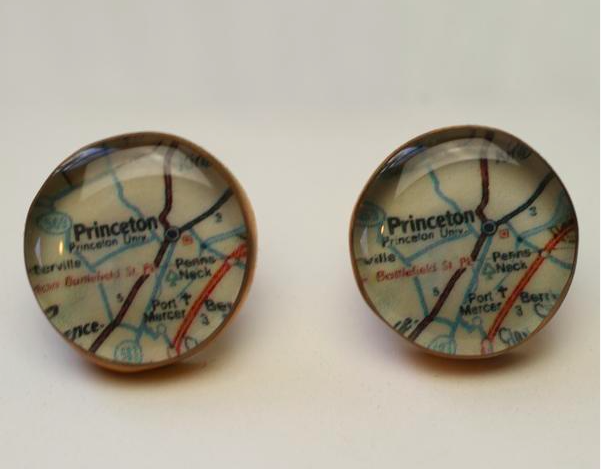 These vintage cufflinks feature a map of the town of Princeton. Bronze, ¾” face, classic button style stem and closure, made in Maine, USA. Satin finish bronze is designed to only look better with the patina of age and wear. Quality one-of-a-kind craftsmanship, elegantly packaged with care instructions. Handmade Beeswax Candles Cast From Tree Cuttings in New York. 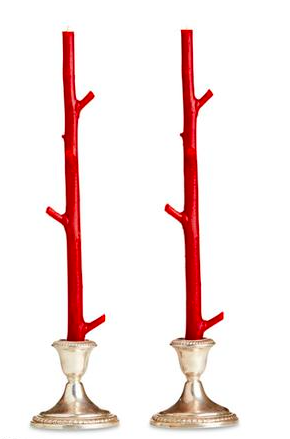 Stick Candles have appeared in Martha Stewart Living Magazine’s Holiday Gift Guide and are American made. Available in Dark Cherry (pictured here), White Chocolate, Dark Chocolate, Honey Suckle Brown, Princeton Orange, & Robin Blue. 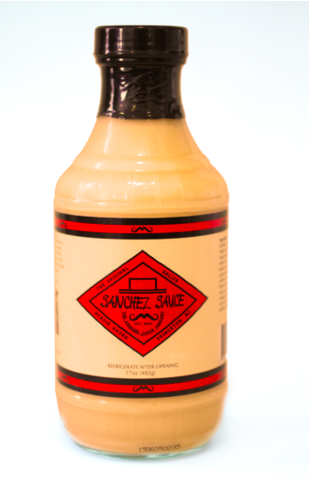 17 ounces of Hoagie Haven’s Sanchez Sauce. Put simply, it’s a hybrid between the kick of hot sauce and the creamy flavor of honey mustard. An all-purpose sauce that goes great on anything fried, meats of all kinds, burgers, vegetables, seafood, French Fries… The list goes on and on.